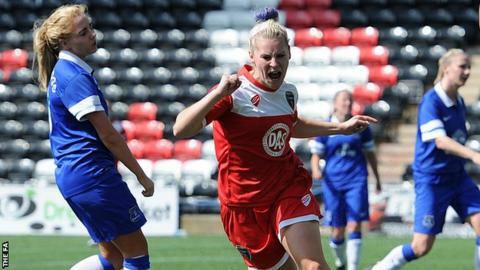 Striker Nikki Watts has signed a new contract to stay with Bristol Academy for a fourth season. The 27-year-old former Reading forward is in her second spell with the Women's Super League club. Watts scored 11 goals for the Vixens last season, including a penalty which sent the club through to the quarter-finals of the Champions League. "On a personal level, last year was my best season at the club," Watts told the club website. "I'll be looking to improve on that this year and hopefully help the club to win some silverware."